Safety in the bathroom: are you at risk? Home/Bathroom Safety/Safety in the bathroom: are you at risk? The answer is, unfortunately, yes. The fact is, everyone is at risk. 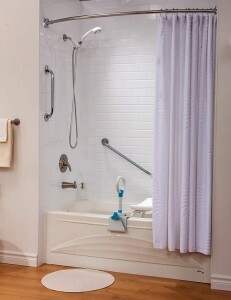 From infants and children to the very elderly anyone can be hurt while performing common daily tasks in the bathroom. The most common dangers include slips and falls, burns from scalding water, and electrical shock. For those over 65 years of age, the statistics point to devastating loss of independence particularly in the case of falls. In fact, 30% of seniors living in the community fall every year and for those over 80, the risk increases to 40%. Of these falls, 85% occur right in the home. While we are all in danger, some of us are more so than others, especially if you have just had a stroke. Partial paralysis, loss of dexterity, changed perception of the environment, and sometimes impaired thought processes, after a stroke can increase the challenge of staying safe in the bathroom. The good news is that you can take measures to prevent many of these falls and maximize your safety. You can maintain your dignity, independence, and privacy by making a few specific modifications and/or changes to the bathroom environment that suit your individual needs. If you decide to investigate your bathroom safety and equipment options in greater detail – CONGRATULATIONS!! You are taking an important step in promoting your own health, safety, and independence. 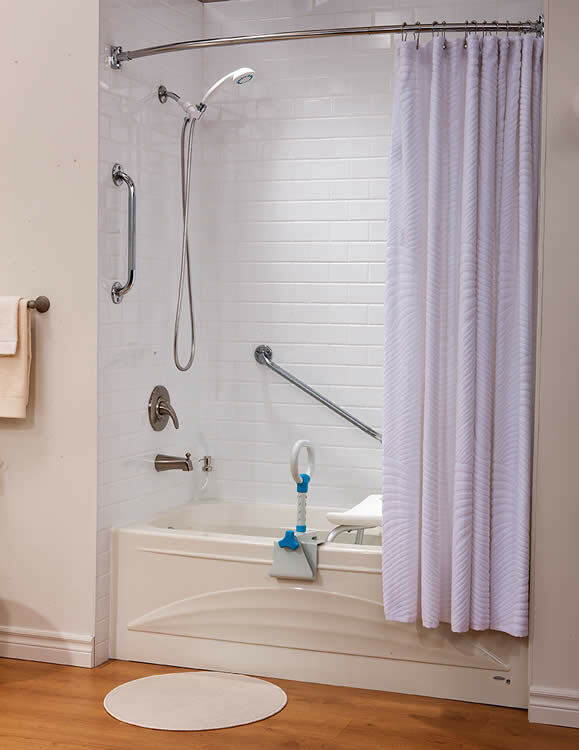 Bath board or transfer bench – eliminates the need to step over the edge of the tub and allows safe and independent entry. Use an anti-scald device (including bathmat as described above) and/or turn down hot water thermostat.